Our grounds are available for weddings. 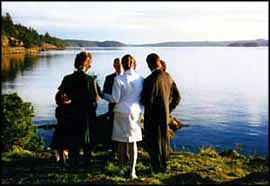 The beautiful wedding spot is on the lawn overlooking the waters of West Sound. 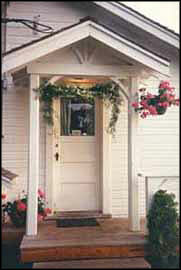 The romantic cabins are even more lovely when decorated for the festivities. Please ask us for details. Please call 360-376-4114 from 9am to 7pm Pacific Time for inquiries and reservations. Ask us about last-minute pricing, up to 48 hours in advance! © Cabins on the Point. All rights reserved.